I live in Bengaluru. Until about a year ago, the only broadband internet service provider in my locality was the state-owned Bharat Sanchar Nigam Ltd (BSNL). Only when the people residing in our area increased, did a private company enter the market. Bengaluru-based Neurosynaptic Communications, one of my recent investments, has been supporting over 1,500 telemedicine centres in the country. Again, BSNL is its choice for internet services as other players do not have a presence in the remote areas the startup caters to. Many innovations have been created on the internet and multibillion dollar companies are riding on it. This speaks volumes for the nature of market forces—the government must first set up the infrastructure and lay the roadmap so that the market can innovate around it. So where will the risk capital come from? Two sources—philanthropy and the government. The Giving Pledge—a campaign to encourage the world’s wealthiest people to donate a majority of their net worth to philanthropic causes—has inspired many people to donate generously, creating an inspiring movement. Many foundations have been doing wonderful work in philanthropy. These foundations also try various models of investing, apart from giving grants. There is also an increasing discussion around creating dignity within charity by transforming the beneficiaries of social work into customers. Social business thoughts have also emerged based on the idea of marrying the heart of a non-profit with the efficiency of corporate management. Many foundations have started investing using the equity and debt models as well. The second source of risk capital is the government. 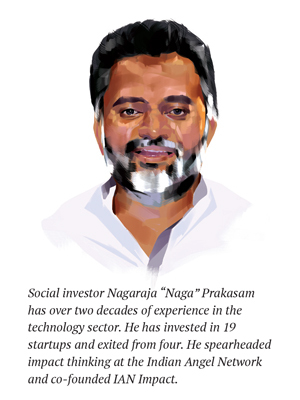 The India Inclusive Innovation Fund (IIIF), which had an initial target of raising Rs 5,000 crore, was jointly announced by the National Innovation Council and the ministry of micro, small & medium enterprises (MSME) in early 2014 under UPA-II. The current government has also approved a Rs 10,000-crore Fund Of Funds For Startups (FFS). These are wonderful ideas but FFS money seems to be going only to market-driven funds that are supporting the app-based economy where the government need not play a role. We need a balance. Funds should also be targeted towards disruptive innovations (let’s help the Edisons out there), where the government has to lay the road as it is more risky. But once the early stages are taken care of and scale is proven, the market-oriented investors will start investing. Until then, the government has to help those entrepreneurs. Another resource that can be tapped to fund social businesses is Corporate Social Responsibility. The new Companies Act-mandated CSR rules are one of the best changes that have happened in India in recent times. Around Rs 6,000 crore were funnelled into the system last year. India is proudly saying at world forums that we have learnt to solve our own problems. My answer to the latter is: Airtel’s business plans were not written with the low-income families in mind. The use of the company’s services by the poor is just a collateral outcome. A social business, on the other hand, is designed for low-income sections or people living in remote areas who can’t access essential services. 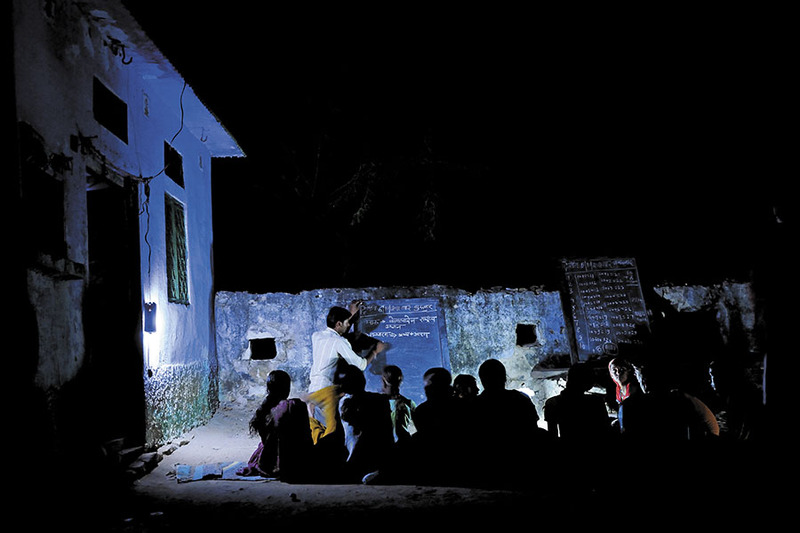 There are still 400 million people in India who don’t have electricity. We see more and more people in the hinterland losing their livelihood and ending up in the slums of cities. The city exploits them with low wages. So it is necessary to start social businesses that tackle these problems, for which some portion of CSR funds must go into social businesses. One of my earlier investments, the Bengaluru-based Solaron Sustainability Services, that does Environment, Social and Governance (ESG) research, monitors around 1,000 stocks listed on New York Stock Exchange (NYSE) and the London Stock Exchange (LSE) for their ESG impact. An adverse report by Solaron on any of these mega companies regarding their ESG practices can bring down their value significantly. Instead of putting in place a watchdog to monitor the ESG practices of companies, can we not build companies that have ESG in their DNA from Day 1? So that when they grow, they will become responsible companies. We can create a section in the Indian Company Law for social businesses that would be measured on triple bottom line—people, planet and profit. Looking at profits alone would make companies lose focus on long-term impacts and they would live on a very myopic quarter-by-quarter basis.